Play video Corbyn asks PM: What is her Plan B? from BBC TwoCorbyn asks PM: What is her Plan B? On the day that the UK was due to leave the EU, there has instead been more delay and continued division over Brexit. What are the chances of a general election? BBC political correspondent Chris Mason says there is lots more talk in Westminster tonight about a possible general election. "There’s a recognition that there’s a lot of weariness about the potential trip to a polling station," he says. But he says that "Parliament is running out of road – the prime minister used language to that effect today". Some MPs have suggested that the prime minister should consider her position. But Mr Mason says: "Her character would suggest that she would want to see this through to some conclusion." While it might be a "tall order" for her to get her deal through now, she may wait until "the point where she has self-evidently failed to do that and the UK ends up committed to a long delay" after 12 April. If she does eventually trigger a leadership contest, a new leader "could seek a new mandate and try to get themselves a majority – and then we would be heading for another general election". Following the government's latest setback, it is no clearer when Brexit will happen. 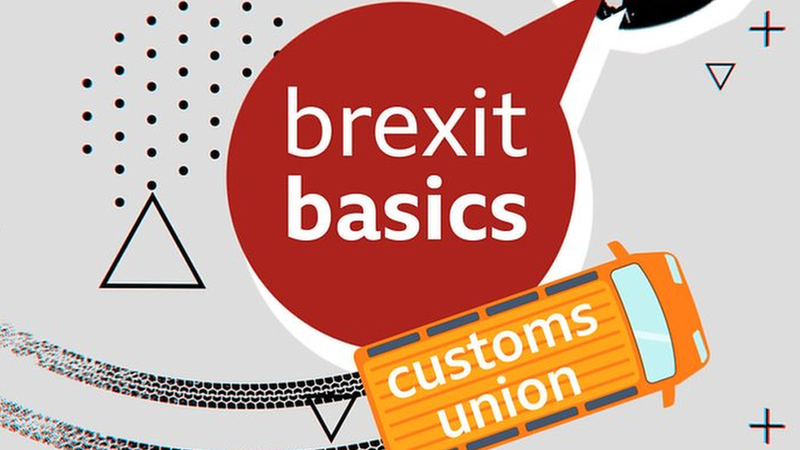 The UK faces a deadline of 12 April to come up with a way forward. By that point, the UK must have approved any deal or decided whether it wants to leave without a deal, which Parliament has said no to, or is prepared to delay Brexit by a much longer period, potentially into next year. The EU is planning an emergency summit on 10 April to discuss its next move. So where does the process go from here? If we know one thing about the prime minister it is that she does not give up, even when it seems that seems the obvious or rational choice. Parliament has rejected her deal three times now - a reality that would have finished off many previous administrations and leaders. 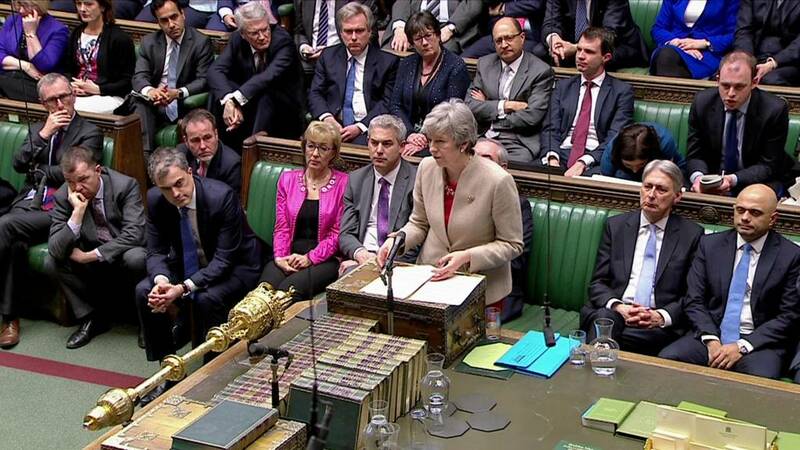 Whether that is foolhardy and stubborn, or admirably resilient, it is highly likely that at least for another couple of weeks, Theresa May will look through every nook and cranny in Parliament to see if there is a way for her deal to pass through - somehow. The BBC's Europe editor Katya Adler says today's vote is "no great surprise" to European leaders. She says the mood in Brussels is of "resignation" and "defensiveness", with "the EU wanting to protect itself from any future Brexit fallout". The UK leaving without a deal is seen as an "increasingly likely prospect" by leaders such as Emmanuel Macron. "That’s why he and other European leaders are questioning whether it makes sense to delay Brexit for that much longer. They look at all the divisions in Parliament, in government, in cabinet, and they wonder if the UK will ever unite around Brexit," Adler says. She says that doesn't mean they would say no, but there would be "very heated discussion among EU leaders as to whether to extend, what for and for how long". One thing they are certain about is that the UK would need to take part in EU elections for a longer extension, she says. That's because the UK would remain an EU member, and the European Parliament's legality could be questioned if all members are not represented. Former Attorney General Dominic Grieve says Theresa May's deal is now off the table - and it's down to Parliament to resolve the deadlock. The Tory MP tells BBC Radio 4's PM programme: "There has to be a reset of all this. There has to be a plan B. "If we are to leave the European Union, it's got to be on some very different terms. "It's clear that the House of Commons has been working in the last week to try and identify a way forward which might provide an alternative to the prime minister's ideas of Brexit, and we certainly need to take that forward next week." He adds that what they are debating is "utterly different" to the 2016 referendum and any decision should be put to a public vote. Vote Leave was fined £61,000 and referred to the police after an Electoral Commission probe said it broke electoral law. Vote Leave previously said the "wholly inaccurate" report was politically motivated. The result looks set to trigger a political chain reaction. Sajid Javid has Home Office questions on Monday, Foreign Secretary Jeremy Hunt is up on Tuesday and Andrea Leadsom has her weekly Business Questions outing on Thursday. Other parliamentary events, not least around Brexit, will provide plenty of opportunities for other contenders. Here's Mark's rundown of the week ahead. Former Labour MP Chris Leslie, who is part of the Independent Group, says he supports calls for another public vote - but not a general election. He tells the BBC News Channel: "If you think that Brexit is complicated, just throw a general election in here to completely throw everything into chaos. Let's get a grip of this situation. "There is a route out of it. The prime minister's deal could go back to the public. "We could put a customs union, single market back to the public. Ultimately we have to give people the chance to look at this and say do we want to proceed or think again?" Continuing his speech, ex-UKIP leader Mr Farage said: "This is about our whole system of democracy. "This is about the bond of trust that needs to exist between the people and those, the governors. "This is about who we are as a nation. Where our standing is in the world. "And frankly, I believe that what's happened over there, has not just turned this day that should've been one of great celebration into a day that history will mark as a day of great betrayal, I believe that what's happened over the course of two years is actually one of the saddest and worst chapters in the history of our nation." He added: "What they want is for us to go away. Am I downcast, am I disheartened? No. I am more determined." The crowd broke out in chants of "Nigel! Nigel! Nigel!" To music and loud cheers, former UKIP leader and Brexiteer Nigel Farage appeared on stage at the Leave Means Leave rally in Parliament Square. "It's brave of you to come," he told demonstrators. "Because I sense, being in Westminster, that we are in enemy territory. "There are hundreds of people just over the street that have treated that referendum and those who voted for it with total and utter contempt of the past three years." Referring to Theresa May's Brexit deal, Mr Farage called it "dreadful" and said he did not spend 25 years campaigning to come out of the EU to see the UK "signed up to another" EU treaty. Is the PM's deal dead? The big question everyone is asking is whether the prime minister’s deal is dead after this third defeat. Of course, opposition MPs certainly think that it is. But does she have a plan to bring it back again? There is speculation about maybe some kind of run-off between her proposal and whatever MPs come up with and coalesce around on Monday. But we’ll have to wait and see. It’s certainly been an incredibly divisive process - particularly for the Conservative Party. UKIP leader Gerard Batten addressed pro-Brexit supporters on Whitehall after Tommy Robinson. Mr Batten told the crowds: "As of now we do not know when we are going to leave the European Union. Mr Batten also said, to cheers from the crowd, that UKIP was the "only major political party that actually wants Britain to leave the EU". Conservative MP Mark Francois was introduced as a "massive, massive Brexiteer" when he took to the stage at the protest organised by campaign group Leave Means Leave. Greeted by a cheering crowd, Mr Francois read out the first part of the poem If by Rudyard Kipling. "I read it again the other night, and it could have been written for the ERG over the last year," he tells the demo, referring to the pro-Brexit European Research Group. "If you can keep your head when all about youAre losing theirs and blaming it on you, If you can trust yourself when all men doubt you,But make allowance for their doubting too." He added: "Three times this wretched deal has been voted down by the House of Commons. "Prime minister, which bit of 'no, no, no' don't you understand?" Find a consensus - or not?